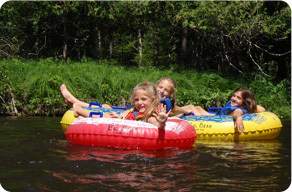 For more than 30 years, we have been providing memorable outdoor experiences for guests of all ages and skill levels. 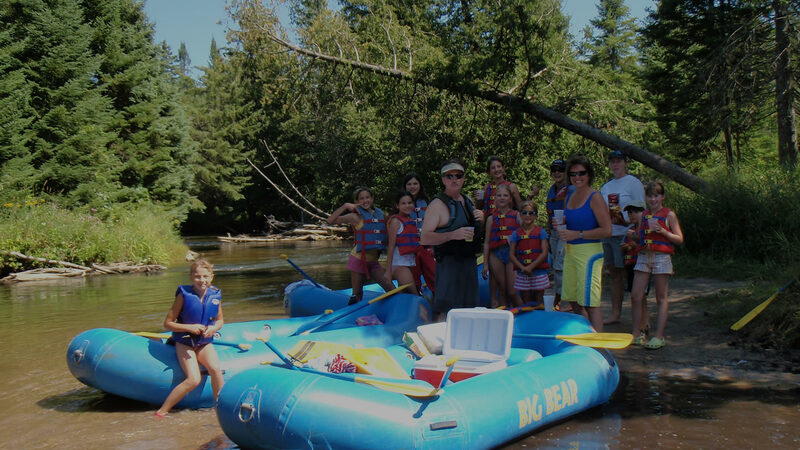 Paddle the crystal-clear Sturgeon River (the fastest in Michigan's Lower Peninsula!) on our exciting Canoe, Kayak, Raft and Tube trips. Test your ability while having fun on our 18-Hole Adventure Golf Course or our Ropes Challenge Course and Bumper Boats! Experience winter's splendor on our unique Guided Winter Raft trips, X-C Ski or Snowshoe rentals. We can accommodate groups of all sizes and Group Packages are available. 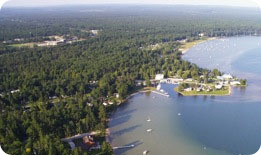 Conveniently located in the heart of Michigan's beautiful north country, the small community of Indian River is nestled between Burt Lake and Mullett Lake (the third and fourth largest lakes in the state), and is the center of the famous 40-mile Inland Waterway – the longest chain of rivers and lakes in Michigan! 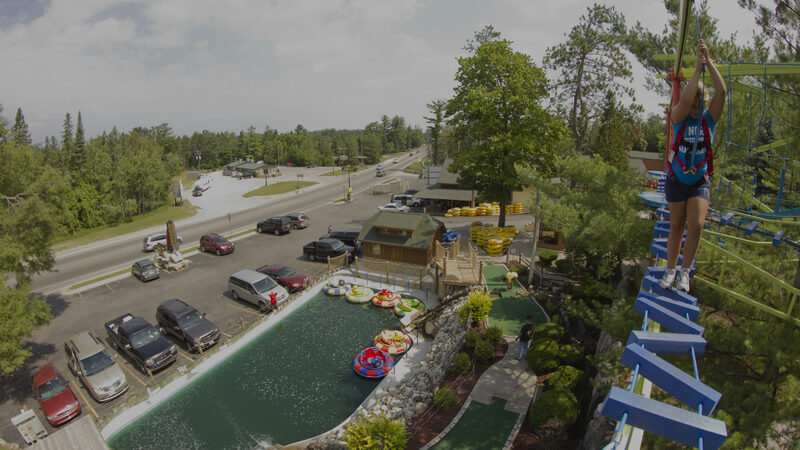 Less than 1 mile from I-75, Big Bear Adventures is also within an easy 30-minute drive of many resort areas such as Petoskey, Gaylord, Harbor Springs, Charlevoix, Mackinaw City, Mackinac Island, and St. Ignace. 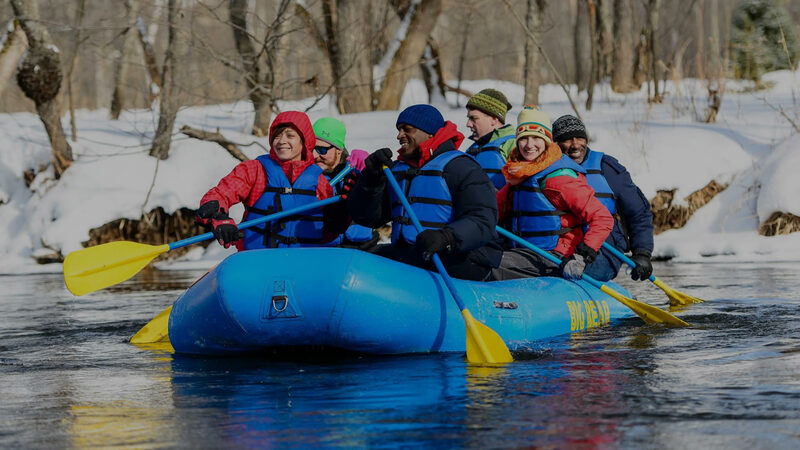 This vacation area abounds with wildlife, pristine rivers, lakes and forests, and hundreds of miles of hiking, biking, and snowmobile trails, providing unlimited opportunities for the outdoor enthusiast. 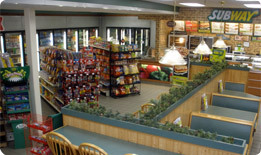 Located directly across from Burt Lake State Park, we have on-site a complete convenience store with beverages, snacks, ice cream, and candy, as well as a SUBWAY sandwich shop. Our log cabin general store also has river and beach necessities, picnic and camping supplies, T-shirts, jewelry, gifts and souvenirs. Enjoy our picnic area and don't miss our mounted, 8 foot tall World Record Alaskan Brown Bear! Less than 1 mile away is a nice, sandy public beach and the "Cross in the Woods" – the world's largest crucifix. 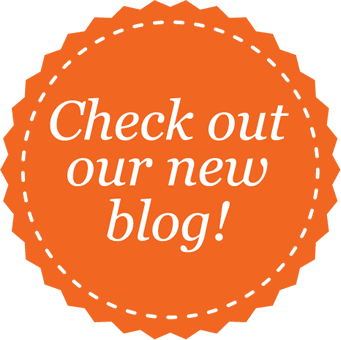 Although the region offers numerous motels, hotels, cabins, lodges and campgrounds, we offer unique, award-winning accommodations for individual, family, and group lodging at the Northwoods Lodge, just 1.5 miles north of Big Bear. 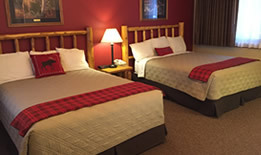 The Lodge provides 15 "Northwoods" themed rooms with log beds, log furniture, wildlife décor, and continental breakfast. We also offer a small, 3-bedroom, "dorm-style" facility on-site perfect for groups of up to 12 guests. Lodging Packages available.